It’s a peculiar high, the first performance of a new play. Reinterpreting a classic, you have some sense of what might happen. Even if you set fire to the yardstick of production history, you at least have something to throw on the bonfire. Having spent at least half my working life premiering new plays, I’ve been present at a number of births. Perhaps the most vivid of them all is the first preview of The York Realist, on which I was the assistant director. It took place in the smaller venue at the Lowry, in my home town of Salford. Here’s how the job came about. At 21, I had travelled to London to see Peter Gill’s Certain Young Men at the Almeida. I’d fallen in love – with the production, the writing, and the playwright. A couple of years later, while training at the Donmar, I’d excitedly related to Michael Grandage my love of Peter’s plays, without knowing that he and Peter were friends. My naivety paid off. When I finished my year at the Donmar, Michael sent me to visit Peter at the house he had lived in since moving to London in the 1960s. It’s on the river at Hammersmith and had also been home to Tony Richardson, Jocelyn Herbert and George Devine, whose blue plaque it bears. What I didn’t know, as we drank tea in Peter’s sitting room, overlooking the Thames, was that I was being interviewed. Michael was planning a Peter Gill season at Sheffield Theatres and he was recruiting three directors to revive Peter’s early plays. I came through the interview and joined Paul Miller and Rufus Norris on the season. There was a year before I directed the play at Sheffield. Peter said: “You’d better come and assist me.” I’d just had the happiest year of my life assisting at the Donmar and it seemed an impossible act to follow. But the year in Peter’s dazzling, intuitive, naughty, incisive, frustrating and compelling company was the making of me. His gloriously opposite nature challenged everything I’d learned from assisting other directors. There is a relentless rigour to his casting process. This was particular agony on The York Realist. I’m not sure the first cast will ever know what stiff competition they faced, not only from the dozens of other actors who auditioned for the roles, but also from Peter’s unshakable sense of who these characters were. Anecdotes flowed like a river through every moment of rehearsals – so full and so frequent that they made me feel I had been present through the early days of George Devine’s Royal Court. And then there is Peter’s ferocious, intuitive intelligence. This connects to his legendary ear for dialogue and innate sense of the musicality of language. This facility is at its most potent when Peter works on his own plays. I recall him line-reading the actor playing the young son on the line: “Leeds, I’d like to go to Leeds” around 40 times. The rehearsals were a few doors down from that Hammersmith house on the river, in a working men’s club. I sat quietly for five weeks and watched Peter navigate Lloyd Owen through eating an entire shepherd’s pie and Anne Reid through endless journeys from the kitchen table to the kitchen sink. I remember Richard Coyle spending most of his lunch breaks playing the fruit machines in the bar as a break from the intensity of Peter’s scrutiny. The poetry of the everyday runs through Peter’s work and politics. No one lends such vivid inner life to the ordinary as Peter. It was rehearsals for The York Realist that taught me about what he terms “poetic realism”. There is a way on stage to pour a cup of tea; to push back a chair; to answer a door. He would push, and push, until the poetry flowed, with all the peculiar tenacity of a great director. On that first preview in Salford, none of us knew quite what it was, this gay love story set in rural Yorkshire. The warmth of the audience was like nothing I have encountered before or since. They fell into its arms, laughing and crying. If you have even the finest fracture in your heart, it’s impossible not to be moved by the story. The play’s trajectory from that first preview in Salford to a West End run at the Aldwych was unforeseen, but Peter at least knew he was writing something that was buried so deep in our theatrical DNA that it felt like coming home. I will never forget him descending the stairs of the downstairs bar on its opening night at the Royal Court to the applause of the whole room. The Court’s son had returned. It was a big deal for me, coming home to Salford with a paid job in the theatre. After I graduated, I came close to getting one of the Arts Council training bursaries at Manchester’s Royal Exchange. When that didn’t happen, it became clear I would need to move to London if I wanted to get a job in the theatre. I’m not sure that would be the case now, given the explosion of Manchester International Festival, the growth of the Contact and the opening of Home. 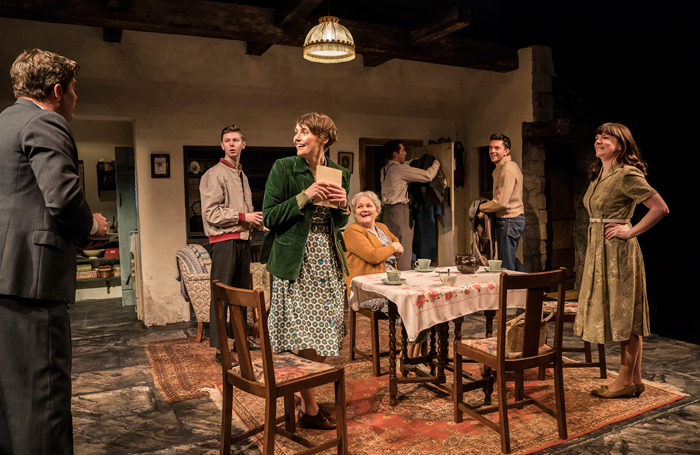 To a small extent, the drama at the heart of The York Realist, in which an assistant director with a nascent career in theatre tries to persuade a Yorkshire farmer to move to London with him to pursue a career as an actor, reflected my own life. Peter is always guarded about how much of the play echoes his own experience assisting Bill Gaskill on the York Mystery Plays in the 1960s. 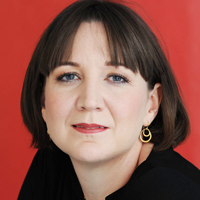 What is – unmistakably – Peter is the strong sister and mother at the heart of the play. Shortly after she saw the play, my mum said: “You won’t move back home now, will you?” By then, it was clear to my family I was becoming a Londoner. The conversation was partly prompted by themes of the play. Also I was now working. Here I was – home – with a job in the theatre, with a play – and what a play. It is my great joy to revive this now, as an artistic director. 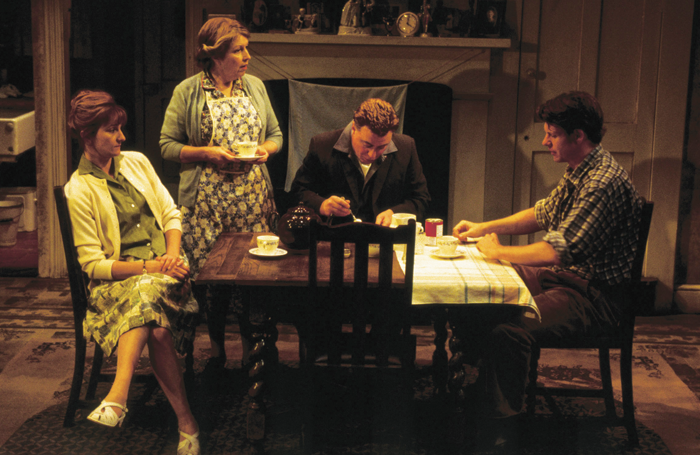 The reaction to its first preview recalled that night in Salford. To feel that same warmth from an audience, 17 years later, is one of the things that has made me happiest in my time at the Donmar.